Located in Pasco, Wa, Balcom and Moe, Inc. is now in its fourth generation of business in the potato industry. 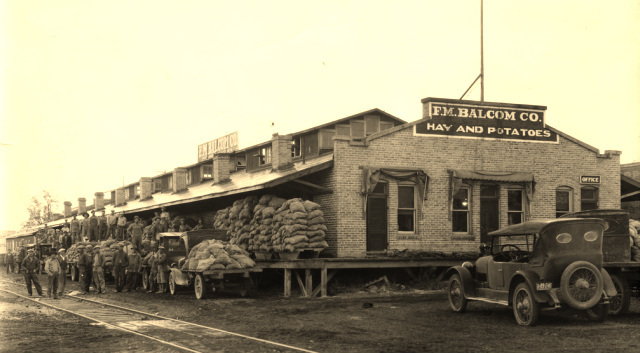 Back in the 1920’s, Frank Balcom started packing potatoes in Grandview, WA. His son Maury Balcom, Sr. took over the business and in 1955 partnered with grower Eric Moe to become a grower/packer/shipper. In 1957 they incorporated to become Balcom & Moe, Inc. 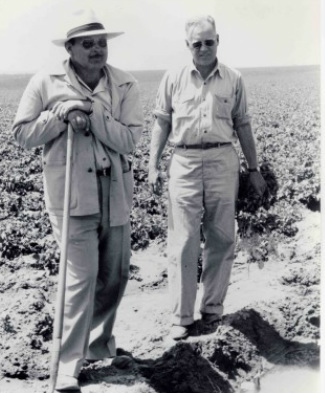 In I964 when water became available through the irrigation project in the Columbia Basin, they moved their operation to Pasco and started farming. A year later, they purchased 7 acres and built a 12,000 sq ft packing shed at its current location. The original building is still part of the current 35,000 sq ft shed with a 16,000 ton storage facility on site. There are also 27,000 tons of additional storage which are utilized when we harvest 2,200 + acres of potatoes. The location can run 40 tons an hour of raw product and can average 28 shipped loads per day of finished product out of its newly extended shipping department. Our facility is run on a PLC system which enables us to “gently” start and stop our whole line reducing spikes. We have also installed VFD drives on the motors to help reduce our energy requirements. All of our storages have been converted to VFD drives and we are in the process of replacing all of the lights in the facility to become more efficient.